Wood Bros. are a family business, which have been around for over 90 years, specialising in the design and manufacture of quality furniture. Wood Bros is located in Ware, Hertfordshire, where it has been since the foundation “stone” was laid in 1952. Famous for their successful Old Charm traditional Tudor furniture collection, which was first introduced in the early 50s, they have designed and manufactured everything from the cutting-edge modern glass fibre shells of Lurashell to the more contemporary oak and upholstery designs of today. Design is at the heart of everything they do. The design inspiration for Old Charm comes from the Tudor and Elizabethan era – a golden age in England’s history where cabinet-making skills and craftsmanship came to the fore. Today we still use traditional cabinetry techniques such as dovetailing and mortice and tenon joints for added strength. Once crafted our pieces are then hand-sanded, finished and antiqued to give the authentic look. Style-wise many influences from Europe and the Renaissance are evident featuring beautifully crafted motifs, turnings and carvings from that period. Chatsworth, Wood Bros. oak collection, builds on traditional and classical designs. Scaled for greater presence, it reflects the character and strength of design prevalent in an English country manor. It creates a look that is a simple and yet elegant lifestyle statement. Oskar features clean lines and a distinctive shadow gap between the carcass and top. Builds on traditional and Scandi designs, scaled for greater presence, it reflects the character and strength of design prevalent in an architectural modern interior. It creates a look that is a simple and yet provides vast storage space. Our Oskar collection made from fine quality oak and features no handles to enhance the clean look. Wood Bros. Sofa Collection has been designed to enhance the lifestyle possibilities for the cabinet furniture. 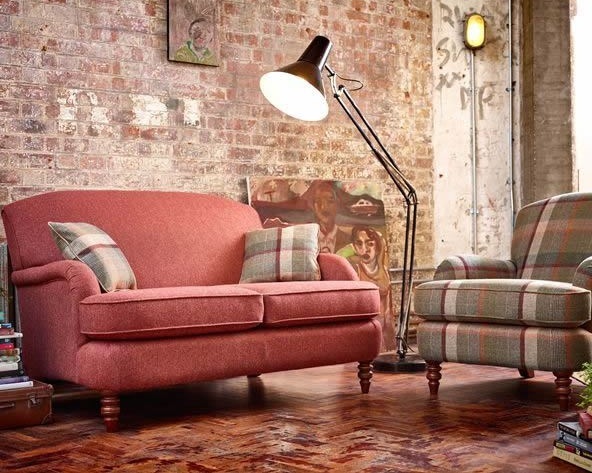 Adding colour, warmth and a variety of style options the collection comprises 10 upholstery ranges: The Arncliffe, Malham, Pickering, Ripley, Lavenham, Blakeney, Burnham & Weybourne. The pieces are designed to complement all Wood Bros’ finishes.